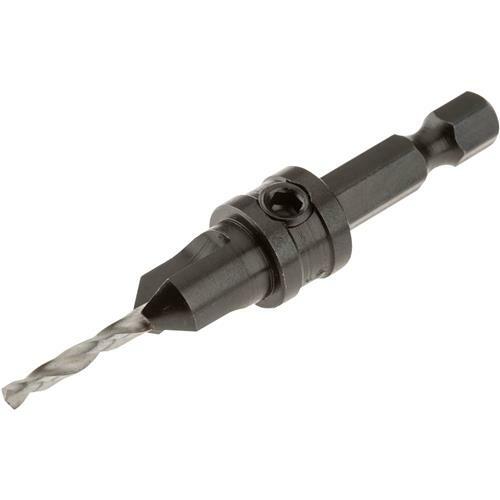 Screw holes may be drilled flush or counterbored using these quality hexshanked countersinks. Uses jobber-length drill bits. Completely adjustable.